Osteoporosis & Osteopenia: Vitamin Therapy for Stronger Bones, by Bryant Lusk, is a comprehensive guide to bone health. The author discusses the link between lifestyle choices, age, gender, and eating habits (largely vitamin intake), and bone health. Interestingly for a book of this subject matter, Lusk seems to have gone the ‘choose your own adventure’ route for his writing technique. Readers can choose between intensive study modes and brief overviews to ‘get the main idea’, and there are ways to achieve a hybrid approach that sits somewhere between the two extremes. It is a fantastic idea on the writer’s part to include that kind of flexibility for his readers, and it is a tool that will likely help this work reach more people than most other books on the subject. The driving principal behind this work is, of course, to educate. To that end, the author goes to great length to discuss each topic as fully as necessary. The book is laid our in bite-sized chunks, each one focusing on a particular aspect of the overall topic. For example, there is a chapter on zinc, one on vitamin D3, another on liver and kidney health, and many more. Included in each section, there is information related to standard vs vegetarian diets, guidelines for how much and how often various vitamins should be taken, information on inhibitors that adversely affect the given vitamin or mineral, and then personal advice from the author. An example of the type of background information provided for each of the mineral and vitamins can be found at the start of each chapter. You’ll see the vitamin or mineral’s impact on the human body in list form. Not only for bone-related issues but for all others as well. One of the most useful parts of each chapter is the ‘how much and how often’ section. Here, the author goes into the recommended daily dosages of the various supplements, all the time adjusting for different types of people living different types of lives. Then, a convenient table is provided to show what types of foods contain said vitamin or mineral and how much would need to be consumed in order to absorb enough. Then, another table showing differences between common supplements, along with which are best and which to avoid. 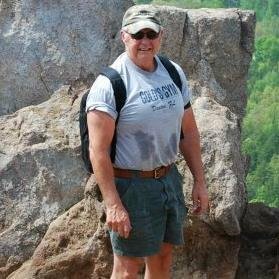 A short discussion about how to inhibit and enhance absorption is then held before advice from the author and finally moving on the next chapter. This book is certainly important and is full of wisdom that is not always easy to find in such a digestible package. In fact, in all the years I have researched the effectiveness of supplements, I’ve only come across a handful of texts as well balanced as Osteoporosis & Osteopenia: Vitamin Therapy for Stronger Bones. This book is going to go into my collection as a reference book that I will frequently visit. One thing that makes this book unique is the arrangement of the words. I sometimes had the feeling I have when reading poetry. Jose De Koster is an easy writer. I can’t describe the arrangement in the book as entire prose, or partly poetic, what I know is that the author told his story in a distinct way, making his work exceptional on all levels. I first fell in love with the pictures in the book. The self-portraits, oil on hardboard images and oil on canvas were all beautiful pieces of art. My favorite was the painting of ‘The Lonely Artist’. A picture is truly worth a thousand words. It did not stop there – Jose De Kroser also added pictures of his family in between his writing. I know I spent a good part of my time just looking at the pictures. The author first introduces us to his life through his mother’s words. The mother encouraged him to keep writing as she had hoped he would become a journalist. 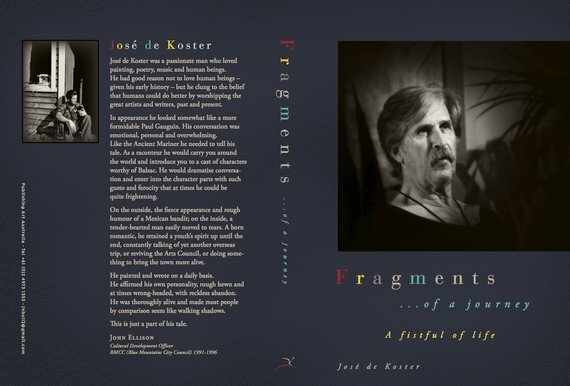 Jose De Koster fell in love with words at a very tender age. Through this book, one gets to know that he felt art and literature on a spiritual level. I feel a little connected to the author when he mentioned four of his favorite authors. Pablo Neruda, Marina Tsvetaeva, Osip Mandelstam, and Anna Akhmatova are the four literary icons the author mentioned. I love that he mentioned the first two as I too adore their works. The author’s narration confirms what a gifted writer he was. I enjoyed reading through as he talked about living in the Blue Mountains of New South Wales. Jose De Koster narrated his story wonderfully. The authored adored his mother and treated her as the most special being. He equally loved his father and brother Ed, but the love he had for his mother was something else. I enjoyed reading on the bit where he discussed faith. It did not come to me as a surprise when the author wrote how he grew up as a Roman Catholic; his mother’s faith, not following his father who was Lutheran. Religion was an important aspect in their lives back then. I loved the memories he shared in regard to the Catholic faith he followed when young. Fragments of A Journey… A Fistful of Life is a lovely memoir. The author’s recollection of his childhood complete with pictures attached is beautiful. The best thing about Jose’s life was the love they had in the family. His life was simple yet he was able to live to the fullest. His writing is matchless and admirable. The book is both short and interesting that one can complete in one sitting. 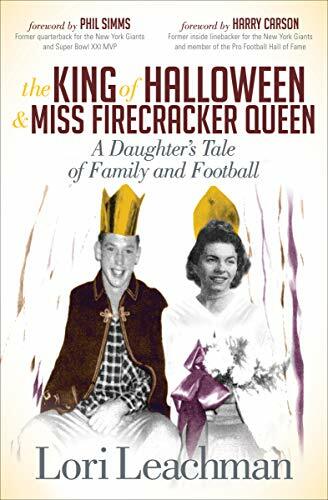 The King of Halloween and Miss Firecracker Queen, written by Lori Leachman is the story of American Football coach Lamar Leachman from the perspective of his daughter. It follows a coach’s journey from professional player to high school coach to National Football League coach. We see the impact this has on his wife and two daughters. It is a uniquely feminine glimpse into what was ultimately a man’s world – where winning was everything! Leachman writes of how her father’s chosen profession had an impact on herself and the life of her family. One impact was the geographical impact, always moving to where the job opportunities lay. The family had to move numerous times and she documents the effect this had on the children, in particular. They had to constantly make new friends, and learn the social mores in each new community. The children’s closest friends were often the children of the other football coaches. She describes how they were tough kids, they were coaches’ kids. Leachman provides an interesting view of Black Civil Rights and how views differed among places. Her view of mixed race friendships were simple; if she liked someone she would be their friend. That of course, contrasted with the views many adults at that time had. She describes briefly living in Cartersville and being confronted by “Blacks Only” signs at the theater and the confusion she felt when she realized African Americans weren’t allowed to swim in the pool. This must have been a bewildering time for a young girl who was immersed in the professional world of football – where African Americans were respected for their skill. Although her father’s career may have had some negative impacts for her, as she gets older she realizes that her lifestyle had some benefits. Leachman recounts the day she realized her family had some money to spare – something a lot of families did not have. Tragically the person impacted most by his career choice was the coach himself. Leachman describes how her father’s mental capacity began to decline, and how he was eventually diagnosed with Chronic Traumatic Encephalopathy attributed to injuries he received during his career. This memoir is cleverly written, as it progresses through we see Leachman begin to understand her father’s talent as a coach, she recognizes his skill and determination and love for his wife and daughters. The only criticism of the book would be that on one occasion Leachman jumps back and forth between decades which interrupts the flow of the story. This memoir is an interesting insight to the life of a professional coach, his dedication to the sport, and the impact and experiences for both him and his family. Lukas is unlike any other boy. Not a boy but not yet a man, Lukas has been hit with more loss, more trauma, and more inexplicable realizations than most adults experience in their lifetimes. When his grandmother takes him under her wing and begins to train him, Lukas is inundated by her pleas to not forsake the Goddess. Lukas, overcome with the pain of the loss of his parents, the tragic eradication of almost everyone else he loves, and left alone in the world with a new acquaintance, turns his head again and again from his Goddess, defying his grandmother’s wishes and, possibly, putting much more than his own life at risk. E.L. Reedy and A.M. Wade present a most unique set of characters in their young adult fantasy, Soul Dark: Chosen. 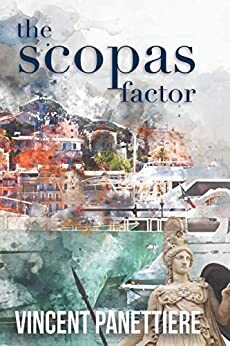 Lukas, the book’s protagonist, is almost overshadowed by the authors’ vivid descriptions and fantastic choice of dialect and idiosyncrasies given the secondary characters. Jacob is a standout in my book. For as meek and mild as the authors initially portray him, he shines like a light from the pages, and he easily steals each scene from the other characters. As a reader, I more than appreciate a story with numerous twists. Though not a huge nor especially unforeseen twist, I was glad to see the integration of the “knowing” character with introduction of Matthew. Those types of hidden gems in a story make all the difference; Reedy and Wade have this technique down to an art in this book. One of the more gripping scenes in the book is the moment Lukas meets the old man, Theo Deville. The authors paint a stunning scene when the two lock eyes. Their dynamic is imperative to the success of the overall story line, and it is within this moment in the book that the authors set that tone. I found myself rereading that section more than once. I found the breaks away from Lukas’s own dramatic situations between the chapters to be quite effective. 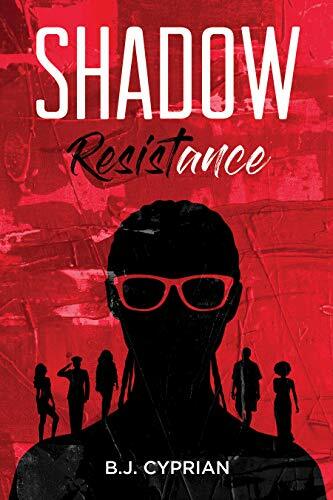 By taking readers, if momentarily, to another realm, Reedy and Wade are able to keep the momentum of the plot and continue to build interest as the story plays out. These brief interludes serve as important reminders to readers that Lukas is not yet out of the woods, and his true test is always just around the next corner. I don’t doubt that someone else will make this comparison, but I feel Soul Dark: Chosen can be likened to a modern-day The Lion, the Witch, and the Wardrobe. The underlying theme of faithfulness, loyalty, and good versus evil are apparent from beginning to end. A strong cast of characters who all rely on one another and are driven closer and closer together through shared traumas is not a new concept, but it is one that Reedy and Wade seem to have given new life. 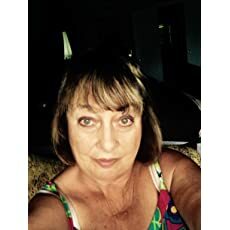 Not many authors can successfully combine modern day settings with those of ancient times to bring to life a book filled with both action and humor. Reedy and Wade have more than accomplished that task. 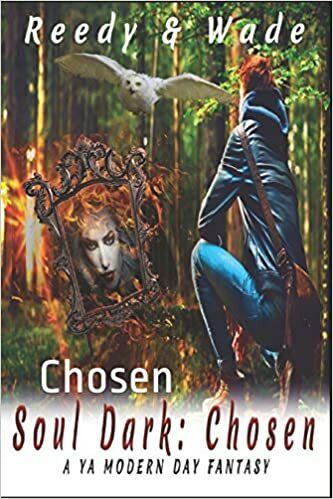 I highly recommend Soul Dark: Chosen to any reader interested in young adult fantasy and looking for a book with a well-placed and strong theme of faith. 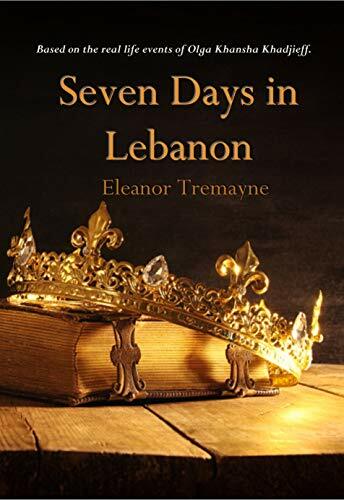 Seven Days in Lebanon is based on your family history that has been passed on to you from your grandmother. Why was this an important book for you to write? My grandmother was an amazing woman not only because of surviving such horrific events in her life, but also because she always believed that God influenced her choices. When she dedicated her life to raising me, I never realized at the time how much she taught me. It was important for me to preserve her stories, and her memories the only way I knew how; The only way I knew that I could. A novel that all her future generations could keep and learn from. I was determined to immortalize my grandmother’s memory. Did you have a complete picture of the events you wanted to tell in this book or did you undertake some research? There were so many stories that my grandmother told not only me but other family members and friends, that I knew I had to include all of them. I chose to use a framework technique to keep the reader interested. Flashbacks were also important to create a genuine sense of how my grandmother must have felt during some of the events. Nevertheless, there were many hours of research to keep the story authentic, and historically correct. What were some things that surprised you when you first learned of this story? When I discovered that the Ballerina that my great grandmother, Natasha, knew was the famous Mathilda Kschessinska, the former lover of Tsar Nicholas, it added a new dimension. Later I also remembered that Natasha met the Prince of Kiva when he was a young child. This was ironically the same Prince that saved my grandmother’s life and married her. My next novel is, The Mermaid’s Grandson. Although this novel includes fantasy, it introduces a completely new spin on previous stories. The reader will be able to relate to many of the experiences and learn that the line between fantasy and reality is much more related than one believes. My personal objective is to have it ready for print by November 2019. 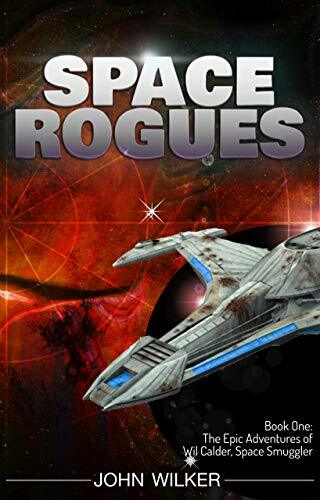 Space Rogues is a genre-crossing novel with elements of a science fiction, action, and adventure as well. Did you start writing with this in mind, or did this happen organically as you were writing? Organically, I’m more pantster than plotter so the stories just sort of form as they go. In hindsight it makes sense, since as a reader, I’m drawn to similar stories. Wil was an interesting and well developed character. What was the inspiration for his character and backstory? Wil is a mix of TV scifi characters. Some John Crichton (Farscape), some John Jaqobis (Killjoys), and a healthy dose of Mal Reynolds (Firefly). I like the idea of the out of his depth character, just getting by. He’s smart, but in a completely foreign environment and even the smallest things is a huge learning curve. I’m assuming you’re a fan of the space opera genre. What are some books in that genre that you felt most inspired this story? One of my favorite genres to read for sure 🙂 Omega Force by Joshua Dalzelle, Ryk Brown’s Frontiers saga, Randolph LaLonde’s Spinward Fringe, and Jamie McFarlane’s Privateer Tales are kind of my top four, I devour every new book that’s released in these series. This is the first book in your scifi series. Where will book two take readers? I view each book as a sort of episode or movie, so I like to sprinkle in a little bit of “Stuff happens before the story starts; a weird mission the crew is talking about, etc. Book two finds the crew in another “Save the galaxy, even though no one asks them to” kind of scenario. I like using the crew to explore big ideas I have, and letting the story play out from their perspective. Wil just wanted a crew for his ship. He got a galactic conspiracy. Wil Calder is a human, the only one to leave our solar system. Now, he’s a lonely smuggler, looking for a crew, because space is lonely and boring. Just a few folks to boss around once in a while, is that so much? What he definitely isn’t looking for, a galactic conspiracy. But that’s what he and his new crew find. They’ve just met each other and now they have to save the commonwealth from war, no big deal. Does this untested crew and their entirely out of his depth human captain have what it takes? 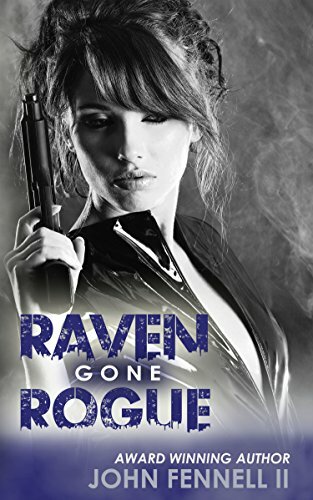 Raven Gone Rogue follows Raven as she tries to find the truth behind her uncles death and needs to go against her former employer to do it. What was the inspiration for the setup to this exciting novel? Raven Anderson is a very determined character who will stop at nothing to accomplish her goal. She knew The Foundation would never let her take out her uncle’s killer because he was a source of vital information, so she went rogue to hunt down the man who changed her life forever. As the author, I knew this was a natural story that would make a great plot for Raven Gone Rogue. Raven is an intriguing character that I enjoyed following. What were some driving ideals behind her character development? She was thrown into the agent lifestyle because of her uncle’s death, thus giving me a perfect character to develop. In the first book Raven and the Panther, Raven went from a teenager to a highly skilled assassin trained be her uncle and the Panther. In Raven Gone Rogue she had to leave The Foundation to accomplish her goal. This also set up conflict with her love Naci Vacara, grandson of The Foundation matriarch Amelia Vacara. The Foundation placed a target on her back. I enjoyed the balance between action and exposition which kept the novel on a steady pace. Was there a balance you tried to strike, or did this develop organically while writing? I wanted the story to follow a deliberate course to keep the reader engaged. I knew Raven needed to get back in the graces of The Foundation. Something drastic needed to happen in the plot so Raven could work her way back into The Foundation. It’s all in the book and the reader won’t be disappointed. Where do you see this series going in future novels? Raven will continue to rid the world of evil. She and her love Naci along with The Foundation will take on several more adversaries with a whole host of challenges. 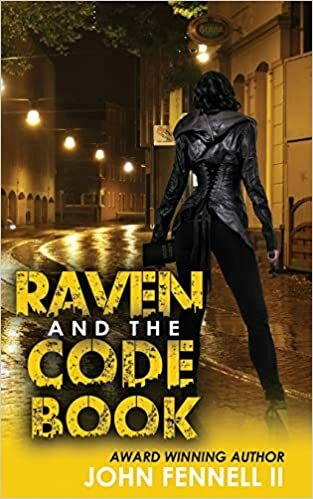 The next novel, Raven and the Code Book, deals with something that will change the world forever. Again, Raven Anderson meets her adversary head on and fulfills her duty to mankind.